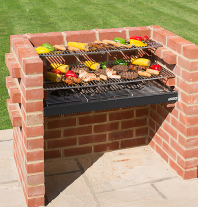 When you buy one of our Large Brick BBQ kits you are buying the best design and the best quality available. This is a seriously heavy duty barbecue kit. From the reinforced stainless steel cooking grill to the deep box ash tray this kit is made to last. All our large kits conform to BS EN 1860-2013:1 for the safety of their design and the quality of their materials so you can buy with absolute confidence. 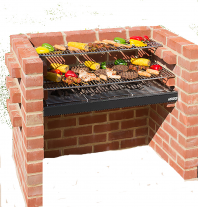 The Large Brick BBQ kit range fits neatly into a 4 brick side surround and can cook for upwards of 40 people in one sitting.